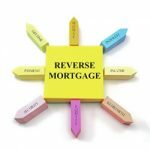 Gary Pinkerton kicks off today’s show with a breakdown of what exactly a reverse mortgage is, and who it might be applicable for. He also shares how it works and why it can work during market downturns. Then Jason Hartman discusses cash flow, real appreciation and geographic diversification as it applies to his, not Albert Einstein’s, theory of real estate relativity. You’ll hear a valuable comparison of a typical Santa Ana, California property with a Birmingham, Alabama and an Atlanta, Georgia property. How do they stack up? Jason will lead you through an in-depth look at rent-to-value ratios (RV Ratio), historical appreciation rates of linear and cyclical markets, as well as hybrid linear/cyclical markets. This comparison may surprise you in several ways. What’s better A $455,000 house that rents for $2,500 per month to six people? Or several $52,000 houses that rent for $700 per month? The same concept can be applied to large multi family apartment complexes and across every geographic market or metropolitan statistical area (MSA).